Yes, there was compensation for this post. Y'all know that old adage where you put on all you jewelry and then take a few pieces off so you aren't wearin' to much. Well, if you don't know it- you deff need to. And here in The South it is so true. You'll be talked about like a dog if you look a hot mess. Y'all some blessed hearts are sure to be involved. Y'all get the point. So when Anjolee contacted me I was intrigued. I became even more curious when I realized some of my Facebook friends are friends with them. Y'all know I don't wanna be lookin' a hot mess. I started browsin' through the site and I loved how the site was set up. Not only are you able to hover over the pics for a quick reference guide but 360 views were also provided. I have always loved stud earrings and need these bad boys in my life asap. Y'all don't even know. From the cut, to the style, to even the materials. Growin' up I always had a problem and had to be selective of the jewelry I wore because I would break out. But after reading about these earrings I know I could wear them and not have a problem. 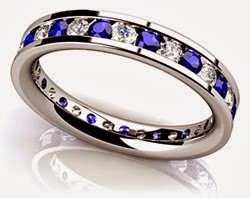 Asfor this ring I picked out- Sapphire is my birthstone. I could wear Sapphire every day and never grow tired. Growin' up I had a ring like this I was given as a present. The ring is long gone but now after findin' out about Anjolee I could buy a new one. Also, y'all have to check out the Engagement Rings they have. All I need is to find me a rich man and pick out the prettiest ring they have. Now I wanna hear from y'all. 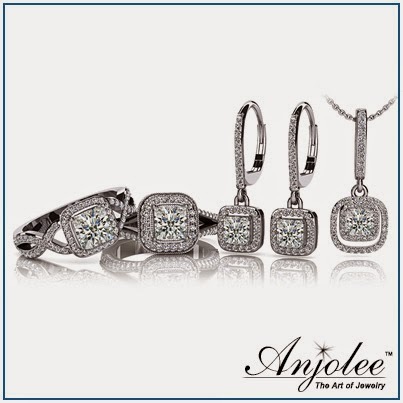 Take a browse around the site and let me know what you would chose if you needed jewelry for a special occasion or an engagement. I love that you picked the same two pieces I did! I LOVE that sapphire ring!! I'd wear that one every day too! I love studs so that would definitely be on my list. I also checked out the engagement rings. Gorgeous and I like the fact that most come in yellow or white gold. Yes ma'am. I have a friend who can only wear white Gold and I know she would appreciate something like this. Those studs are TO DIE FOR!!! I need them in my life ASAP!! bling, eh? good idea for b. that sapphire ring is beautiful. I love this theme. I'm visiting other A to Z bloggers. Diamonds! Wow, I miss wearing those. Honey, you could give me anything and I would smile and walk off proudly! :) Love jewelry, love diamonds, and love sapphires. Thanks for sharing!